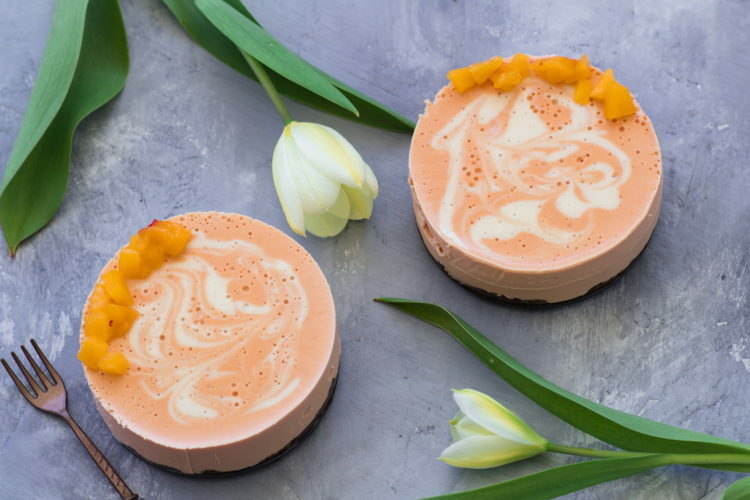 Spring is finally here and it is making me crave deliciously fruity desserts! 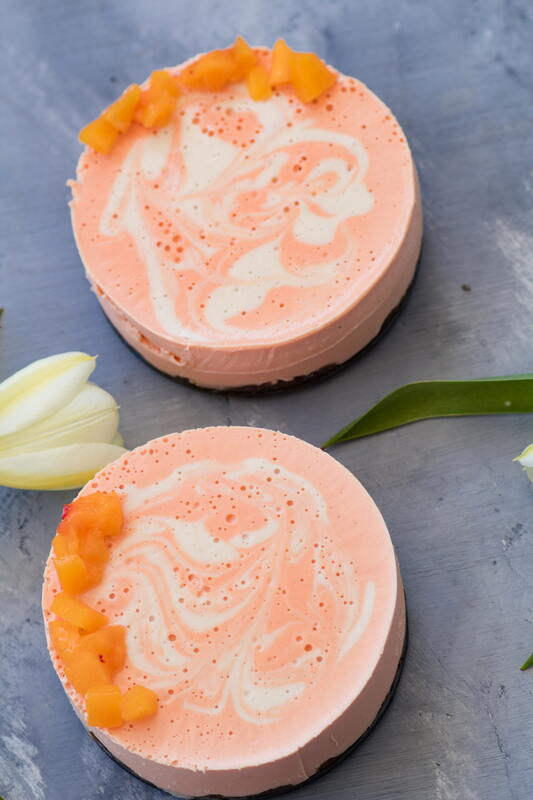 The creaminess of the cashew cake and the lovely crisp taste of the peach make an amazing combination for this summery dessert. 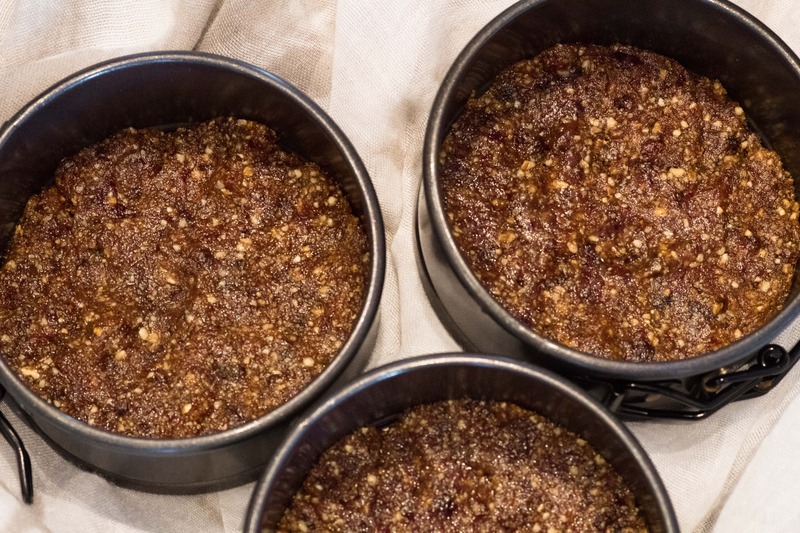 The base of the cake is very easy to make and has lots of flavor. Mix all the base ingredients in a food processor and then press into either 3 small springform pans, or 1 nine inch springform pan. 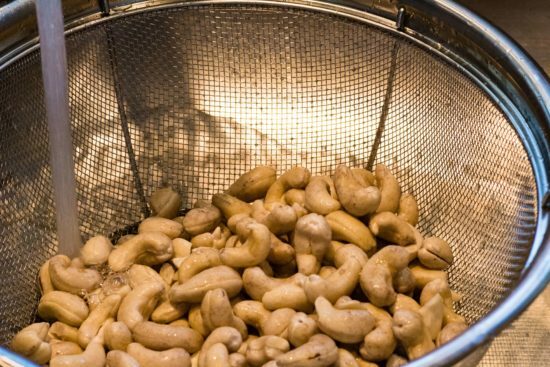 It’s really important to rinse the cashews after they have soaked to get all the coating off of them and any extra skin pieces that may have been left on. Make sure that all the excess water is drained out so it doesn’t change the flavor of the cake. Now it’s time to puree the cashews and the rest of the ingredients together. It is very important to make sure that you puree it until it’s very smooth. Once it’s smooth, add the thawed peaches and puree again. Now it’s time to pour it over the base. NOTE: Make sure that you tap the springform pan to make sure all the air bubbles come out, or it will be bubbly like mine are… I got too excited about trying it, lol. Freeze for at least three hours and take it out forty-five minutes before serving so that it’s not too cold. In a food processor, pulse the pecans until they are in small pieces and remove to a bowl. Pulse the dates, vinegar and vanilla. Add in the pecan pieces and pulse until a ball forms. Press into a 9 inch springform pan, or 3 three inch springform pans. 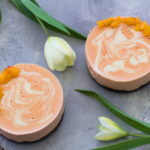 Put in freezer while making the filling. 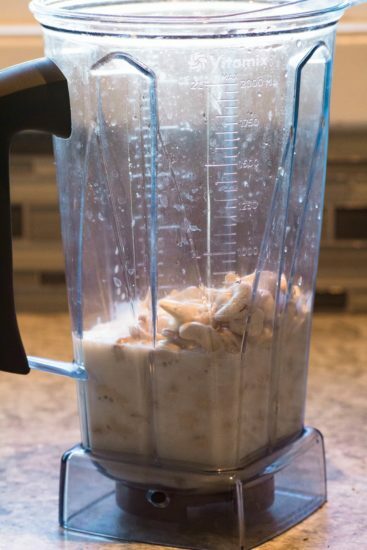 Rinse the soaked cashews and add it with the milk, coconut oil, vanilla and vinegar to a blender. Blend on high until completely smooth. Add in thawed peaches and blend. Pour over the base and freeze for 3+ hours. Thaw for 45 minutes before serving.